What is faith? A commentary on the meaning of faith. What is faith? That may seem a loaded question since faith is not something visible or tangible, and may indeed mean different things to different people! We can ask more specifically, what does faith mean to a Christian? It is almost impossible to put the meaning of faith in a nutshell, but some things are fundamental in order to grasp the concept. First of all, the Christian faith professes an unreserved belief in the Bible, God’s Word to mankind – true, tested and unchanging. Faith is also full and unreserved confidence in God, in His love for me, and in His power to help me whatever comes my way in life. “But without faith it is impossible to please Him, for he who comes to God must believe that He is, and that He is a rewarder of those who diligently seek Him.” Hebrews 11:6. Faith is a choice. I need faith to become a Christian. I choose to believe in Jesus Christ, that He died for my sins, and that by believing in Him, my sins will be forgiven. The promise is clear. “For God so loved the world that He gave His only begotten Son, that whoever believes in Him should not perish but have everlasting life.” John 3:16. It is faith in a Person that saves a believing soul, not faith in a particular philosophy or a code of rules. 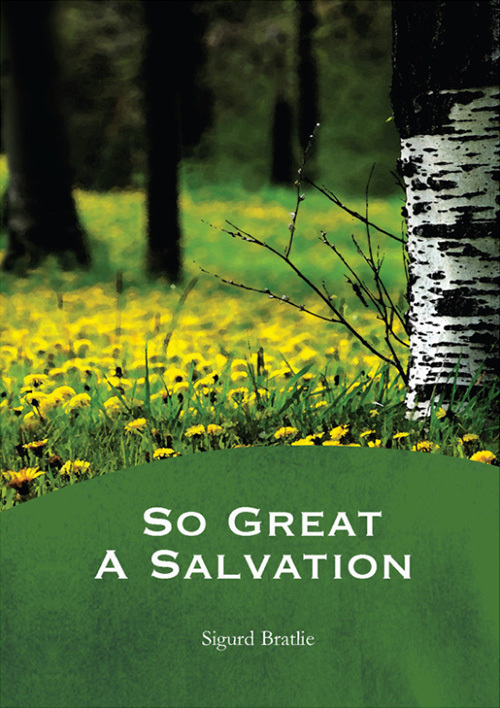 Every Christian will agree that salvation is a gift, not something we attain to by our own efforts. “For by grace you have been saved through faith, and that not of yourselves; it is the gift of God, not of works lest any man should boast.” Ephesians 2:8-9. To acknowledge my sinSin is anything that goes against God’s will and His laws. To commit sin is to transgress or disobey these laws. The lust to sin dwells in human nature. In other words, it is contaminated and motivated by the sinful tendencies that dwell in all people as a result of the fall into sin and disobedience in the garden of Eden. This... More and repentRepentance is the act of regretting sincerely the sin in your past with the goal to never do it again. It is making a decision to turn away from evil and to serve God. Repentance is one of the requirements for the forgiveness of sins. (Mark 2:17; Luke 15:10; Luke 24:46-47; Acts 3:19; Romans 2:4; 2 Corinthians 7:10; 2 Peter... More from it is the first and vital step. But I still cannot save myself! “The wages of sin is death, but the gift of God is eternal life through Jesus Christ our Lord.” Romans 6:23. To receive this gift, I must believe in and personally accept God’s gift to me in His Son. The forgiveness of sins is a wonderful beginning, and brings great joy to every true believer in Jesus. It is no small thing to have the burden and guilt of sin removed from my conscience! So I am saved by grace through an act of faith. I choose to believe. Then what? Do I still need faith? Yes! If I want to live a life that pleases the Savior I have believed in. Though the guilt of sin is gone, the indwelling sinSin is anything that goes against God’s will and His laws. To commit sin is to transgress or disobey these laws. The lust to sin dwells in human nature. In other words, it is contaminated and motivated by the sinful tendencies that dwell in all people as a result of the fall into sin and disobedience in the garden of Eden. This... More in my nature will still be the cause of many temptations. The next verse in Ephesians 2 tells us what God’s thoughts are for us after our initial experience of salvation. “For we are His workmanship, created in Christ Jesus for good works, which God prepared beforehand that we should walk in them.” Ephesians 2:10. So God has something far greater, and even more wonderful in mind for us after we have believed Him for forgiveness. John writes simply: “In Him was life, and the life was the light of men.” John 1:4. It is this light of Jesus’ life that I need to walk in – go to action! If I really want to obey God’s good laws of life found in His Word, I will soon find myself in a battleAlmost all talk of battles and wars when concerning a Christian life refers to the inner battle that arises when a sinful thought tempts you. God’s Spirit and the flesh are at odds. When you have decided to only do God’s will and are being led by the Spirit, a conflict between the flesh and the Spirit arises: there is... More, a battle against the sin the light reveals. This is the good fightAlmost all talk of battles and wars when concerning a Christian life refers to the inner battle that arises when a sinful thought tempts you. God’s Spirit and the flesh are at odds. When you have decided to only do God’s will and are being led by the Spirit, a conflict between the flesh and the Spirit arises: there is... More of faith! To win this battle, I need to believe in a power outside of myself, in the power of the Holy Spirit, in Jesus Who has promised that He can save me, and that to the uttermost. (Hebrews 7:25) This ongoing salvation is a work of faith. It has nothing to do with my feelings, which can go up and down like a yo-yo. But when I believe God, and set my heart to obey, even against my feelings or my human understanding, then God goes to action too! He sends grace and help in time of need, and all honor for the salvation gained belongs to Him! Faith opens the door to a victorious life! By faith, we can truly overcome as He overcame! “This is the victory that overcomes the world – our faith.” 1 John 5:5. I believe in His power to save. I believe that when I take up my cross and deny myself as Jesus did, or as the scriptures also put it, am “crucified with ChristJesus was physically crucified on the cross at Calvary. Though blameless, He took upon Himself the punishment for sin, which was death, so He could pay our debts and forgive us our sin if we are willing to believe in Him and follow Him the Apostle Paul wrote: “I have been crucified with Christ…” (Galatians 2:20) This is a metaphorical... More,” I will be victorious over sin and self. “I have been crucified with Christ, it is no longer I who live, but Christ lives in me and the life that I now live in the fleshSin is anything that goes against God’s will and His laws. To commit sin is to transgress or disobey these laws. The lust to sin dwells in human nature. In other words, it is contaminated and motivated by the sinful tendencies that dwell in all people as a result of the fall into sin and disobedience in the garden of Eden. This... More I live by the faith of the Son of God, who loved me and gave Himself for me.” Galatians 2:20. Faith is a precious possession! As we said to start with, it is not visible or tangible. However, Jesus said to doubting Thomas: “Blessed are those who have not seen and yet have believed.” John 20:29. Peter writes about this blessedness also. “… whom having not seen you love. Though now you do not see Him, yet believing, you rejoice with joy inexpressible and full of glory, receiving the end of your faith, the salvation of your souls.” 1 Peter 1:8-9. The result of a living faith is both visible and tangible! The disciples saw it and touched it in Jesus, and our calling as Christians is to come to this same joyful and glorious life – by faith! You may be interested in reading more on our topic page about obedience to the faith, or in the articles below. What is the difference between justification, salvation, and sanctification?